After making the initial decision to explore your ancestry and genetic origins, you are faced with a multitude of nuances, separating one ancestry DNA testing company from the next. Helix and National Geographic Ancestry Test are both excellent choices for the task at hand, but one will certainly come out on top once you identify your specific needs and expectations. Their services, although high-quality and professional, differ in small but important aspects, even though they seemingly do the same thing. Our comparison will help you spot those differences between Helix and National Geographic Ancestry Test, allowing you to make an optimal and fully personalized choice. Helix is a DNA testing company that performs the sequencing of your DNA and applies the results to an incredible number of different testing solutions offered by its wide range of partners. I am not satisfied with my results at all , it was just a waist of money . I am mixed my mother is Mediterranean , and her mother my (grandmother ) is European such as German( the last name is pitzenbarger) , Norwegian , French . My father is African American and Native American (Choctaw) ancestry his mother looks very mixed . My results that I received were 49% western Africa , Northwestern Europe 18%, Northeastern Europe 10%, Southwestern Europe 10% ,Eastern Africa 4% , Eastern Europe 2% , Italy & Southern Europe 2%. yes, I know my results show that I am Black, white , and some Mediterranean that something I already knew , I really wanted to know exactly what am I. Know I have to do some research and do some more digging . I am not happy with Helix and / or with Geno 2.o . Rip off!! Paid $165.00 for the kit. They ask health questions. Told me I would have to buy extra to get results. They would not do my dna. Ask for money back, the deducted 10.00 for shipping. I think it’s a scam!! I give it zero stars! Helix is a DNA testing hub that incorporates the testing portfolios of numerous companies and puts them all under one roof, resulting in probably the most impressive DNA testing online store on the market. 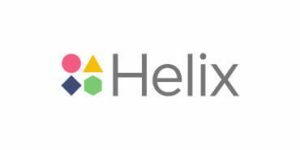 Read our dedicated Helix review to learn all about the company, its impeccable service, and numerous testing solutions.